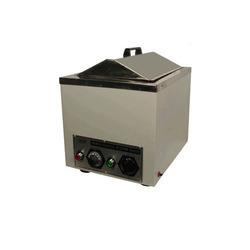 We are a leading Manufacturer of serological water bath from Chennai, India. We are a manufacturer, supplier & dealer of Water Bath Serological. We have emerged in offering our valuable customers a wide array of Water Bath (Serological). These products are used for both commercial and domestic purposes. This range is developed by utilizing the high-grade raw material, to ensure a durable construction. In addition to this, these scientific instruments are best suited to execute the clinical procedure, incubation, inactivation, agglutination, as well as most Serological , pharmaceutical and biomedical procedure.